Most of the designers begin with a starter theme or framework which is arguably the most efficient way to create a WordPress theme. Manually, A theme framework is an advanced kind of WordPress theme with extra features allowing users to customize, adjust and develop it. Frameworks are designed to work as parent themes, which means that when using one to build a site, you’d normally use a child theme. You might buy or download your child theme from the framework developer (or a third party) or manufacture one yourself. Dashboard screens, which let you customize the content, outline, design, format and layout of your site. Widget areas in multiple locations in the page or in different template files. APIs including hooks and functions you can access in your child theme or plugins. Add-ons in the form of plugins designed to work with the framework. This method allows you to keep the “framework” of your site strong without modifying how it looks. Why will we use Theme Framework? These features can range anywhere from (drag-drop functionality, sliders, SEO widgets, and more). Instead of creating a theme from scratch and modifying all the files, creating a child theme can be as simple as creating a new style.css file and customize a few functions using the functions.php file. The Theme Frame can be modified anytime user wants. The parents theme are well coded and any types of bugs can be solved within update. Most of the theme frameworks include support from the theme developer or from a community of users. If this is important to you, check what’s available and how much it will cost, as this varies. Some frameworks come with flexibility in the form of options screens which you can use to customize your layout, design and more, and some have APIs which mean you can extend the framework however you need to. User are assured of excellent support from the parent themes. So, Without any doubt, Theme Framework is the best option for creating a magnificent website on custom demand. There are two type of frameworks as Free & Paid. As we’ll see from examining some frameworks in detail, the features can vary significantly between them so it pays to identify what your requirements are before you pick one. The Genesis framework is probably the most popular premium framework available right now. It has a large community of users and developers and a wide range of child themes available. Its API includes over 50 action hooks and 60 filters but if you're not a coder you can use its dashboard screens or a child theme to create a great website. And unlike other premium frameworks, you only have to pay for it once. The Cherry Framework includes a responsive layout and Bootstrap integration. The Framework itself is free with a range of premium child themes sold via a theme club. While its lack of API will limit its usefulness to developers, the fact that the framework is free with three child themes and that a large library of premium child themes is offered will make it very tempting for non-coders. Headway is a framework with a drag and drop interface that replaces the relevant WordPress dashboard screens and looks very different from a normal theme options screen. However the interface isn't very intuitive for non-technical users. It does have an API though with action and filter hooks which developers can tap into in child themes. Confusing to use standard WordPress dashboard. Ultimatum includes everything you need to build your own custom theme using WordPress. The tool comes with a powerful form builder, a range of sliders for creating post and image slideshows, is fully WooCommerce compatible, and comes bundled with the powerful Visual Composer drag and drop page builder plugin. This last inclusion means that creating custom layouts for individual posts and pages is very straightforward and produces some great results. Thesis has a terminology all of its own, which can be confusing for anyone who’s familiar with WordPress terms. It uses a system of boxes, skins and site tools, which are the equivalent of widgets, child themes and plugins. It's available by annual subscription with subscriptions varying for different packages. Whichever you pick needs to be the privilege one as indicated by your own criteria, so truly it’s dependent upon you! I hope that this article helps you understand what is a WordPress Theme Framework, and if you should use it or not. If you think I missed something or made wrong, then please let me know in the comments. If you are using a framework on your site, then let me know in the comments which one. Why do you prefer to use the framework that you do. Looking forward to hearing your responses. Thank you! The WordPress Theme Frameworks - ultimate guide for starter. 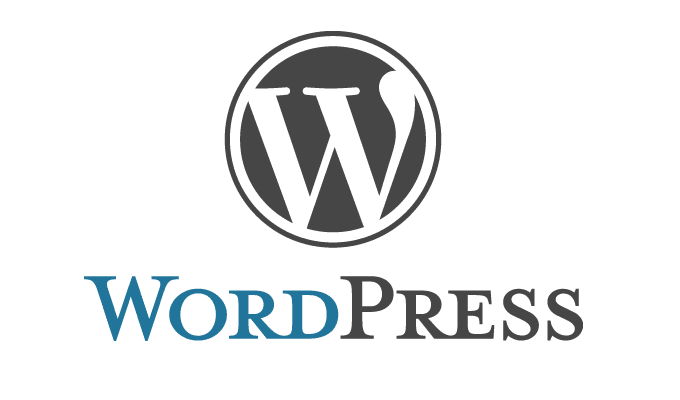 WordPress is one of the magnificent open source web software that you can use to create a beautiful website or blog. In the beginning days of WordPress, there were some horrible problems with the way how themes were developed and maintained. There was no good way of upgrading WordPress themes without losing all the custom styling options. There was no way to prevent copying and WordPress Logo pasting of the same functionality code in all themes.